Coffee & Tea There are 20 products. 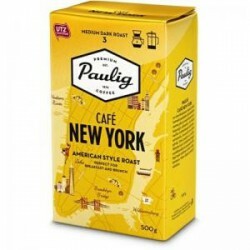 Traditional Finnish coffee taken its place in Finns hearts. Familiar taste brings memories to life. President coffees quality makes your coffee break special. Quality coffee from the worlds greatest coffee regions. High crown Kenya bean and slightly darker roast than average gives this coffee a smooth chocolaty sensation. With its traditional light roast, Presidentti is a strong and full-flavoured coffee blend. Its rich flavour is crowned with aromatic Kenya beans and exotic Ethiopian mocha. Presidentti is roast level 1. 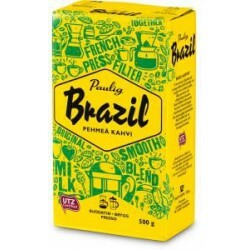 Brazils roast level is slightly darker than is traditional in Finland, giving it an international flair. Roast level 2. Presidenttis rich flavour is crowned with aromatic Kenya beans and exotic Ethiopian mocha. Presidentti is roast level 1. 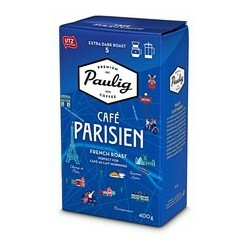 Paulig Parisien is a French-style coffee blend, very dark roast. A touch of Robusta gives it a strong continental tang. It can easily be brewed in a filter coffee maker or a French press. Paulig Parisien is roast level 5. 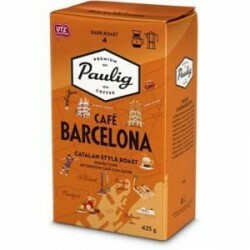 CAFÉ BARCELONA is a Catalan-like roasted coffee that has been inspired by Barcelona's lively atmosphere. If coffee, like life, is in your opinion intended to be enjoyed with good friends, this tasting and delightful dark coffee blend is just right for you. UTZ Certified. 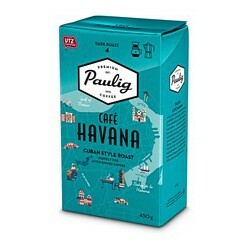 Paulig Café Havana is a Cuban-style roasted coffee blend. It is made of carefully selected Latin American arabica beans and flavored with a touch of robusta. If you're looking for a coffee with a dark taste crowning a good meal, this coffee is for you. Prepare coffee by filtration or Cuban like espressopot. 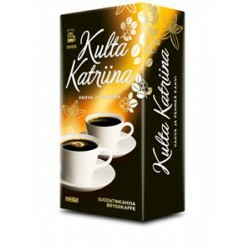 This traditional Finnish coffee has been a classic in many families in Finland since 1937. This soft roasted coffee unites us all with warmth and great taste even today!